What an exciting first day at the Machaneh! With 44 happy and eager chanichim (campers), our wonderful madrichim (counselors) welcomed the kids to camp with open arms, hearts, and ideas! 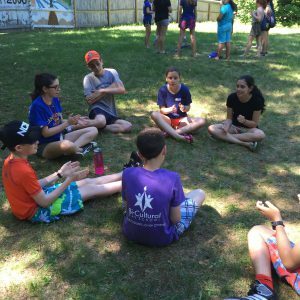 After getting settled in their tsrifim (bunks), the chanichim played a ton of icebreakers with their tzrif outside to get to know one another. After a great first meal of delicious pizza, the entire aydah (unit) came together for the first time and played games like The Grass Stands Tall, This is a What, Telescope Tag, Machine, and Ninja to ease them into the camp atmosphere. 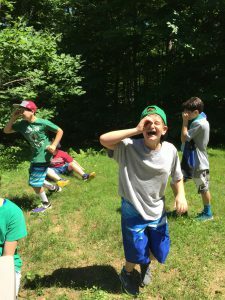 After everyone became acquainted, the banim (boys) tested their strength and agility for some hard-fought (but very friendly) competitions in basketball, dodge ball, and Ninja. The banot (girls) showed their fortitude and perseverance in a series of sandstorms at the sand dunes, also known as the volleyball courts. The chanichim enjoyed an ice cream nishnush (snack) before heading to the agam (waterfront) for their swimming tests. After shower hour, the chanichim enjoyed a dinner of shnitzel and mashed potatoes. Our peulat erev (night activity) was Erev Arcade (arcade night), which featured 6 stations of life size arcade games such as Pacman, Air Hockey, Just Dance and Mario Kart. The chanichim were active, ecstatic and smiling throughout the night. After ending the evening with a dance party and rad hayom (end of the day song), each tzrif met to go over rules and the nighttime routine. 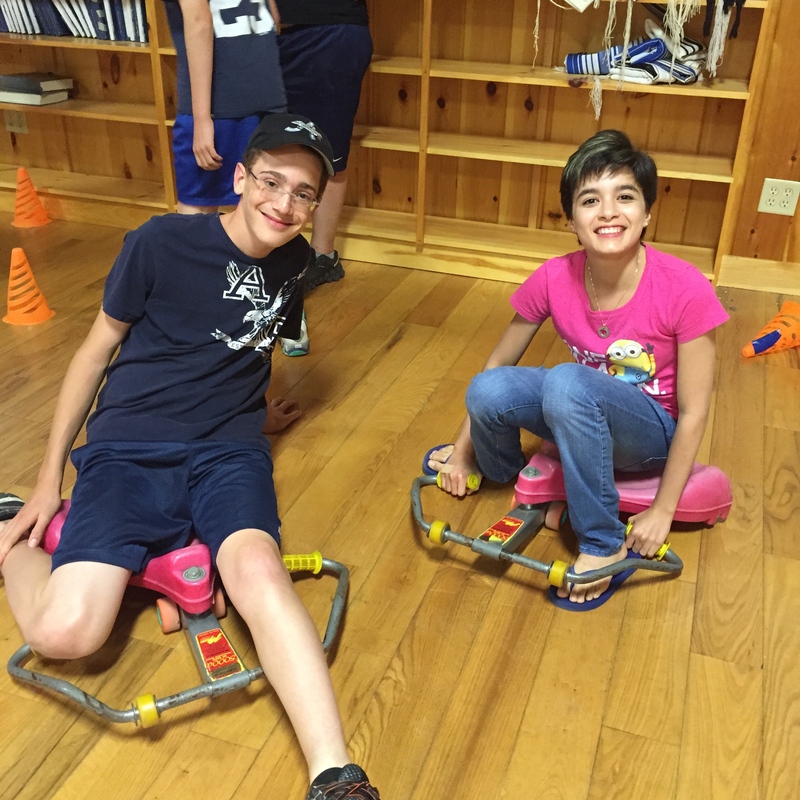 After a fun-filled first day and with Shabbat just around the corner, we are excited to have many more creative peulot leaving all the chanichim with smiles on their faces!